A shocked home-owner found a 4ft-long snake in his bathroom, which hissed at him and then slithered into his toilet. 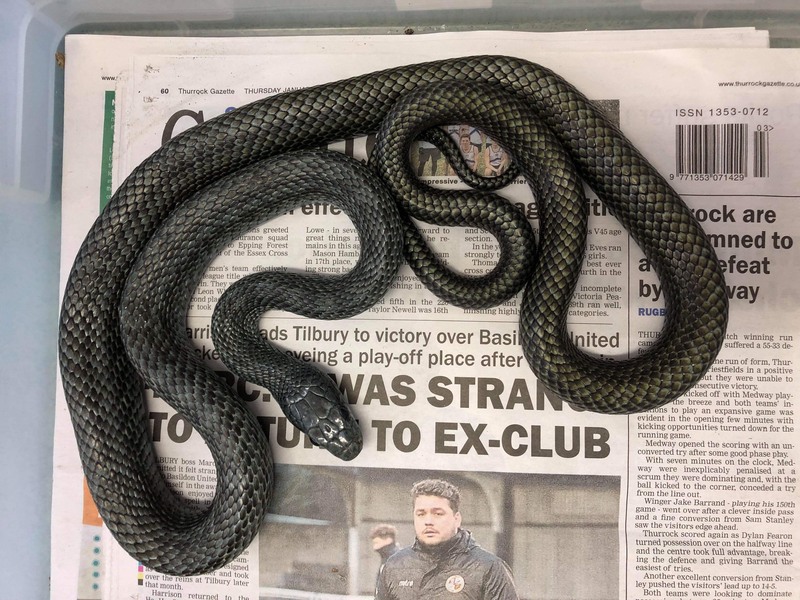 The rat snake, which is not venomous, is thought to be an escaped pet that got into the property in Basildon, Essex, which is being renovated. The reptile went into the top of the toilet, where it turned slightly blue from the cleaning products used in the cistern. The snake was trapped until the RSPCA arrived to collect it. Home-owner Naomi Burdett said her partner found the snake, which they have named Kevin, after hearing a candle fall over. A relative helped contain the snake before the RSPCA arrived and took it into specialist care. “We haven’t had any heating until recently so it must have been really cold for him,” said Ms Burdett. “We haven’t been staying here during the renovations so I have no idea where he has been living or how long he has been here! RSPCA animal collection officer Joe White said: “I’m sure these poor people got quite a shock when they discovered a snake residing in their toilet. The snake is being monitored at a local wildlife hospital in case he has ingested any chemicals from the toilet water. Rat snakes generally eat small rodents which they kill by suffocating them with their body. If anyone recognises the snake they can call the RSPCA appeal line on 0300 123 8018.